Small but perfectly formed, this sliver of a country packs an enormous amount into its narrow borders. Bordered by the Pacific Ocean to the west and the Andes Mountains to the East, Chile is one of the longest countries in the world, but also one of the narrowest. From the lunar landscapes of the Atacama Desert in the far north to the dramatic, windswept scenery of Southern Patagonia, Chile is astoundingly diverse and with excellent domestic flights, it is easy to explore much of what this wonderful country has to see in just ten days. Santiago, the capital, is more of less right in the center of the country and acts as a springboard for exploring all there is to do and see. The city itself is one of the most cosmopolitan in Latin America, home to excellent hotels and restaurants, but head out into the surrounding countryside and you will find yourself in the heart of Chile's winelands. This beautiful region, not far from the city, is a must for those seeking a little relaxation before, during or after their trip. 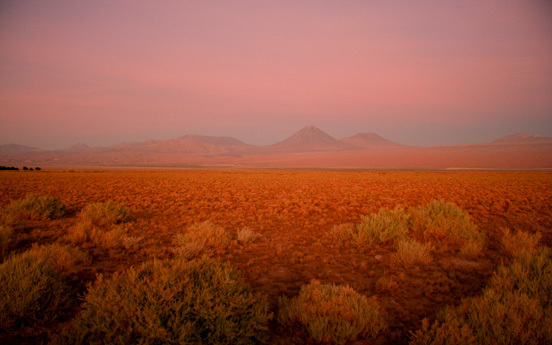 Up in the north, the Atacama Desert receives virtually no rainfall throughout the year (which might come as a welcome break from those Monsoon rains) and there is certainly no shortage of things to keep you occupied. Salts flats, geysers, sand dunes, lagoons and snowcapped mountains are just some of the spectacular sites you can visit, either on horseback, by bike or on foot. The area is also rich in culture with some fascinating archeological sites and museums nearby. To the south, Patagonia is split into the northern Lake District, an adventurer’s paradise filled with stunning lakes, forests and volcanoes, and Southern Patagonia, home to fjords, rivers, lakes and glaciers and the magnificent Torres del Paine National Park. As well as the spectacular scenery all around, the wildlife in the region is also excellent (puma, guanacos and condors are just some species you might see) and despite being such a remote region, the accommodation here is some of the finest in the country. Last but not least, lying thousands of miles to the west of mainland Chile, is Easter Island. Learn about the ancient Rapa Nui culture as you explore the most remote inhabited island on earth. Easter Island, one of the world’s most remote inhabited islands, was named by the Dutch explorer Jacob Roggeveen who ‘discovered’ the Polynesian island on Sunday, 5th April 1722 – Easter Sunday. The island also goes by its Polynesian name, Rapa Nui, although this name didn’t appear until late in the 19th Century. You will be met on arrival in Santiago and transferred to the Singular hotel in the Lastarria District. The newest hotel on the scene, this modern hotel is in a brilliant location for exploring the city. Depending on what time you arrive, you can take a tour of the city, or simply spend an evening enjoying one of many excellent restaurants near the hotel. 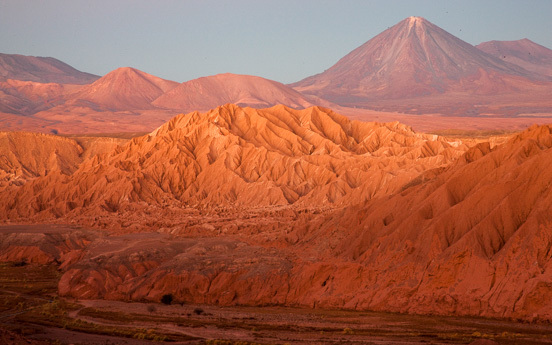 Fly north to the Atacama Desert, the driest desert in the world and one of Chile’s main attractions. The scenery is spectacular and there is an enormous amount to do and see in the region, from geysers and Altiplano lagoons to hidden villages and ancient archeological sites. Staying at the exclusive Awasi Atacama, the adventurous can opt for hiking, mountain biking or riding excursions and you will be accompanied throughout by your own private guide. Returning to the Central Valley, explore Chile’s lush wine region from the comfort of La Casona Matetic, visiting wineries and savoring some of the country’s finest cuisine. You can also spend a few hours in the UNESCO World Heritage Site city of Valparaiso on the coast, where colorful houses built on a series on steep hills provide the backdrop to the country’s cultural hub. 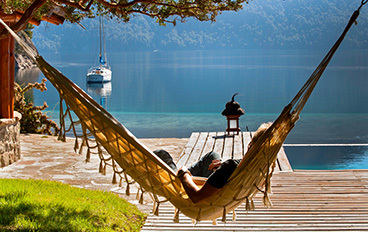 Travel to the far south of Chile to the wilderness of Patagonia. 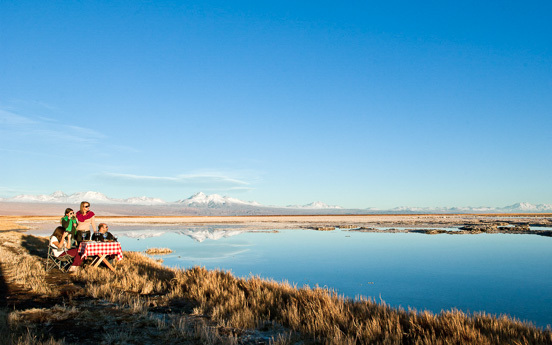 Staying at the secluded Awasi Patagonia, discover the region with a private guide who arrange trips at your own pace. 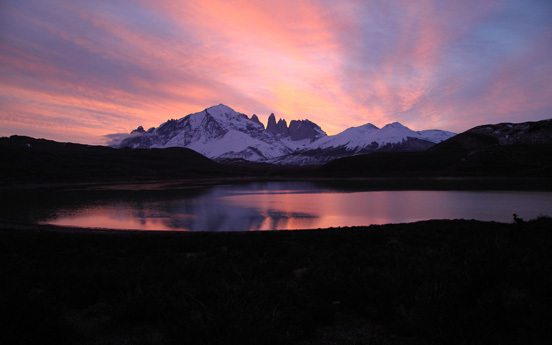 On foot, by bike, on horseback or by car, journey through the breathtakingly beautiful Torres del Paine National Park. With valleys, lake, waterfalls and mountains, the photographic opportunities here are fantastic and there is plenty to do whatever you level of adventure. Return to Santiago in time for your flight home.